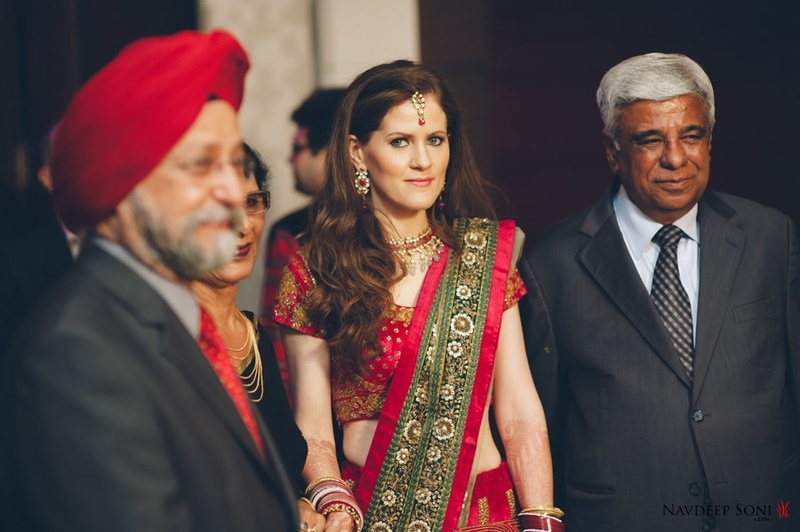 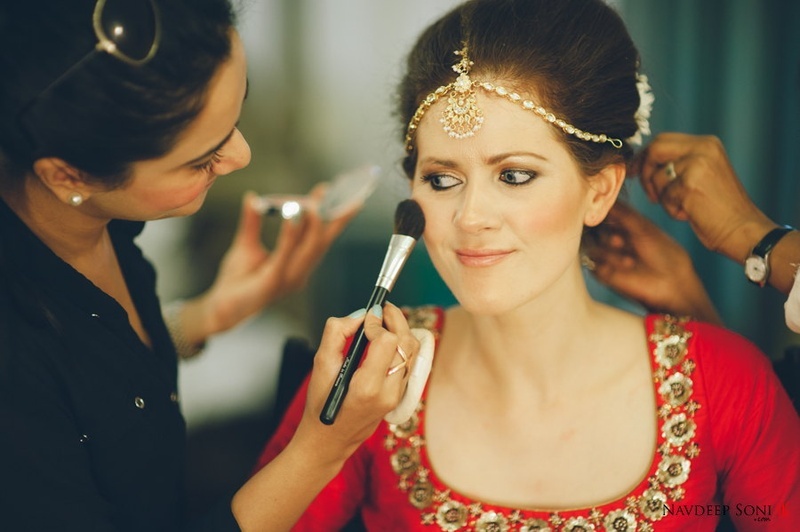 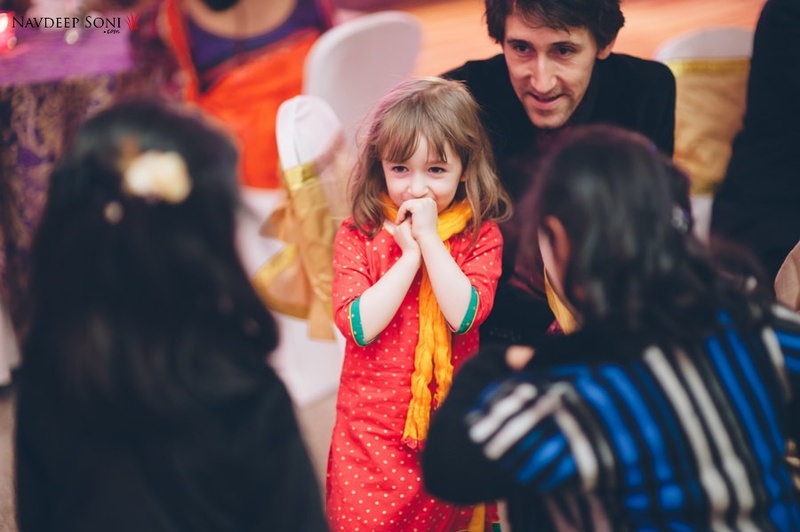 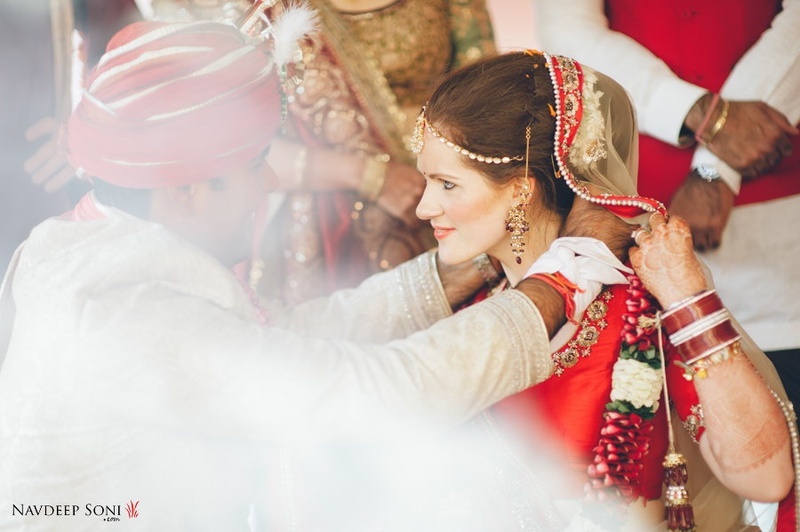 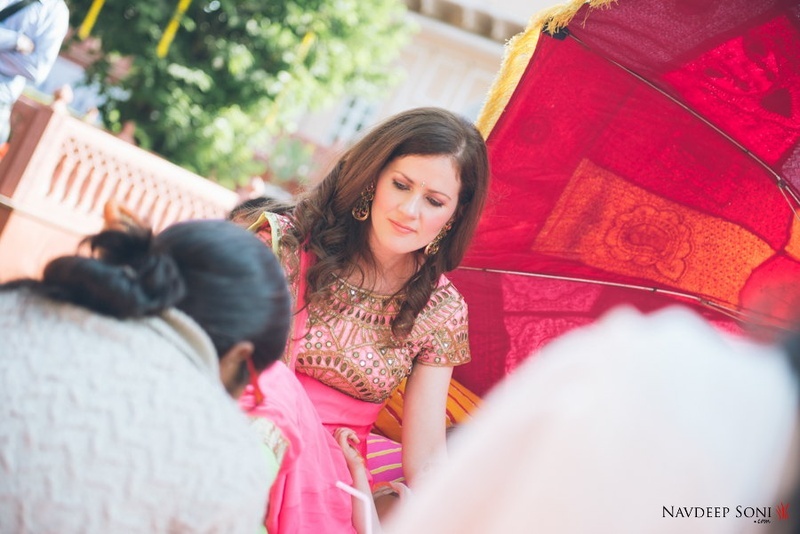 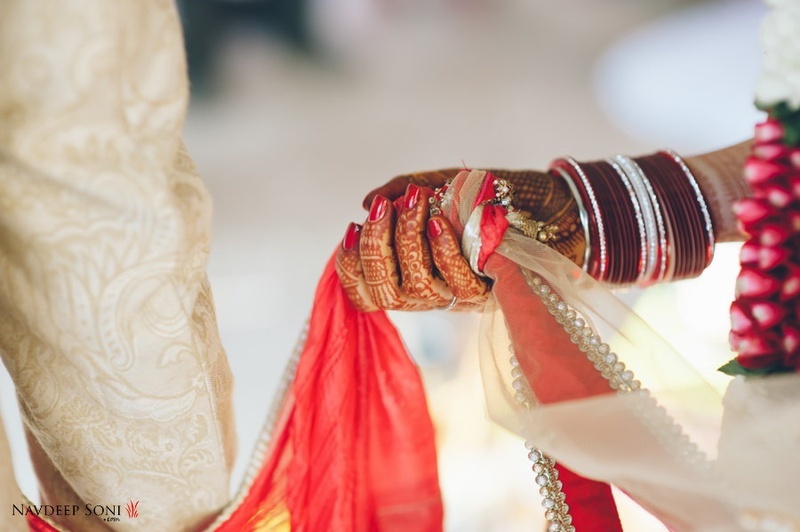 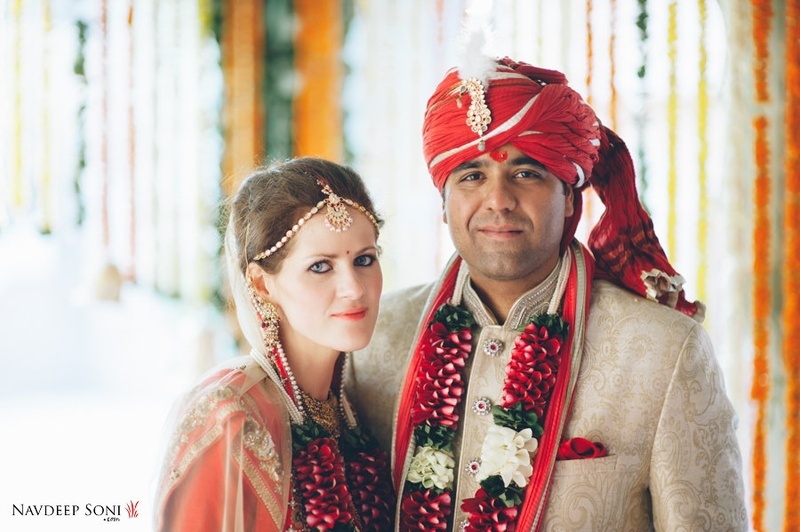 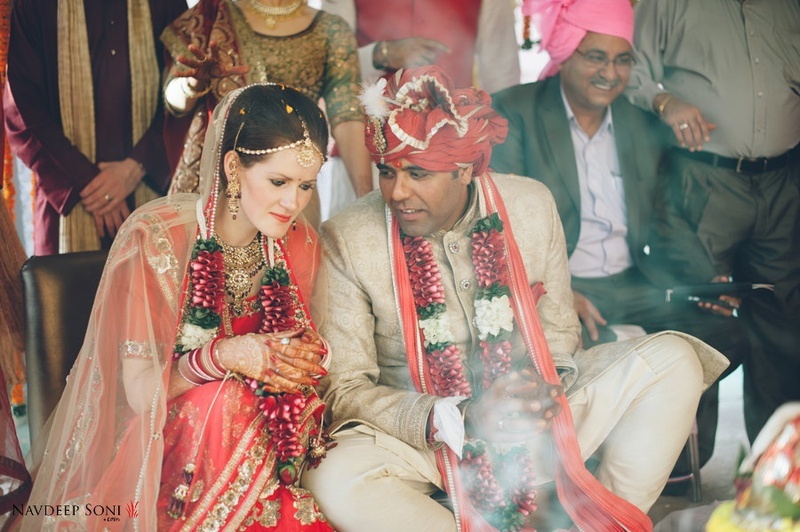 Cross cultural marriages always leave an impact on us – and Laurie and Pankaj’s wedding was one that had us wishing we were a part of this beautiful celebration of love in reality. 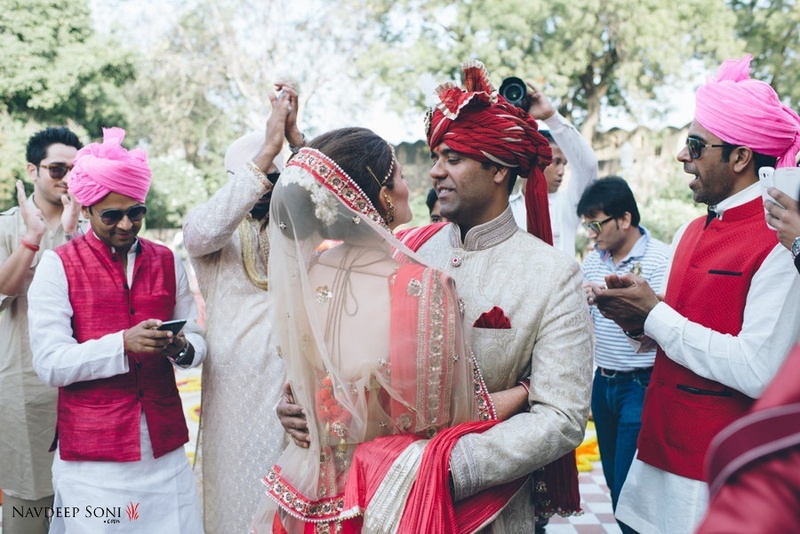 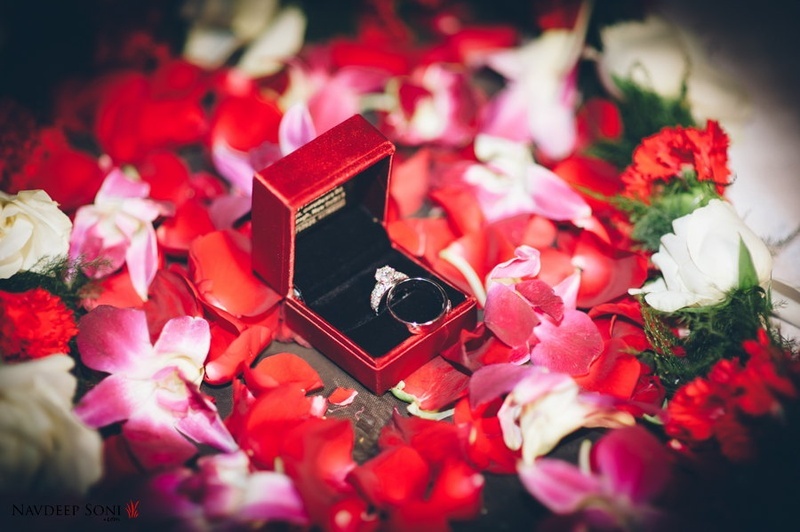 As lovers of all things wedding, we were swept off our feet as we scrolled through every photo of their wedding album. 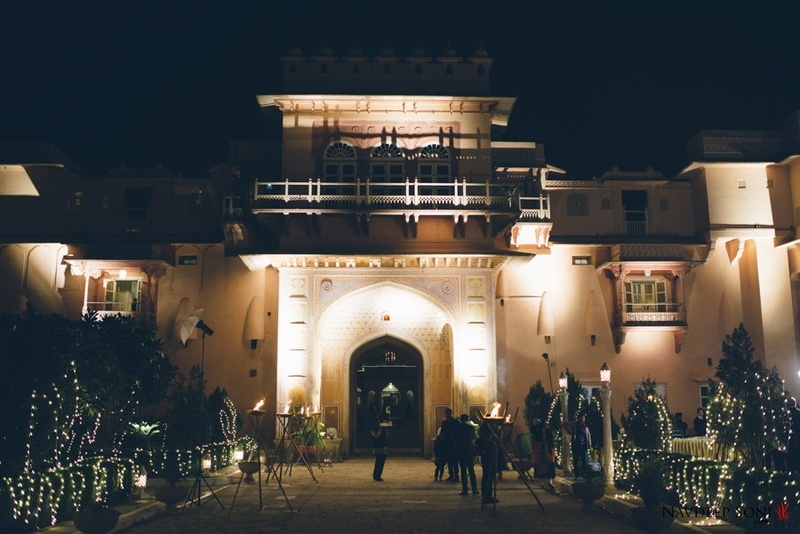 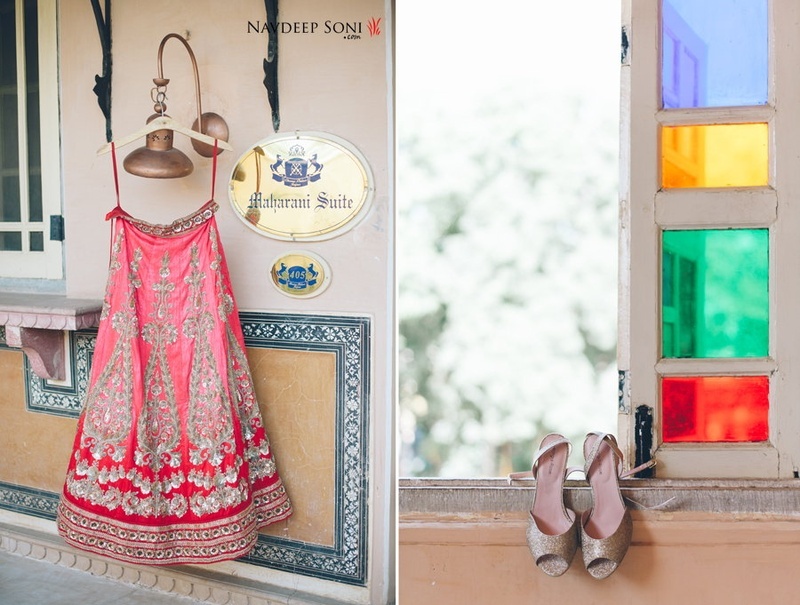 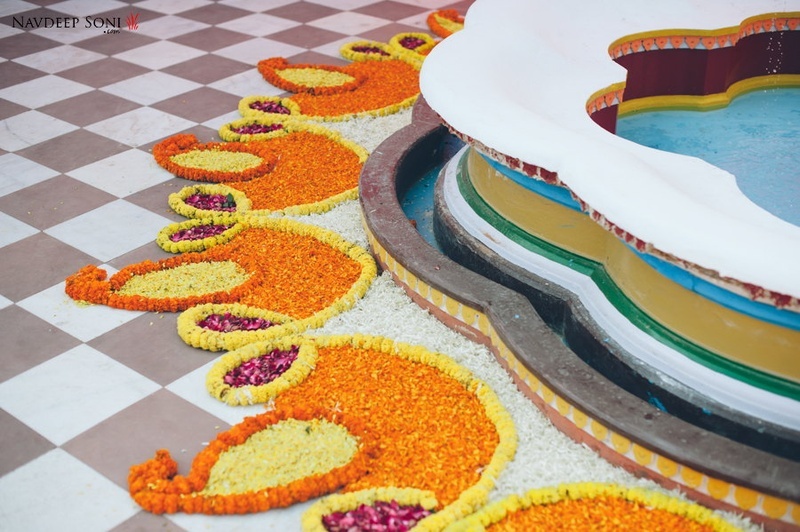 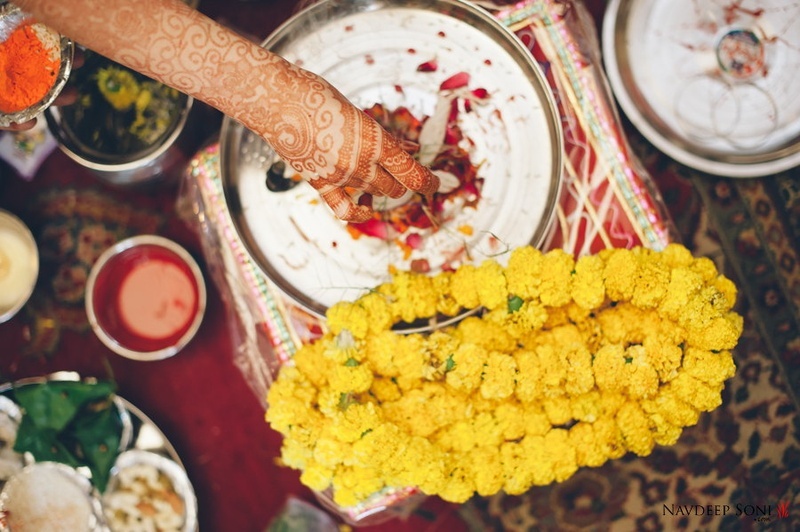 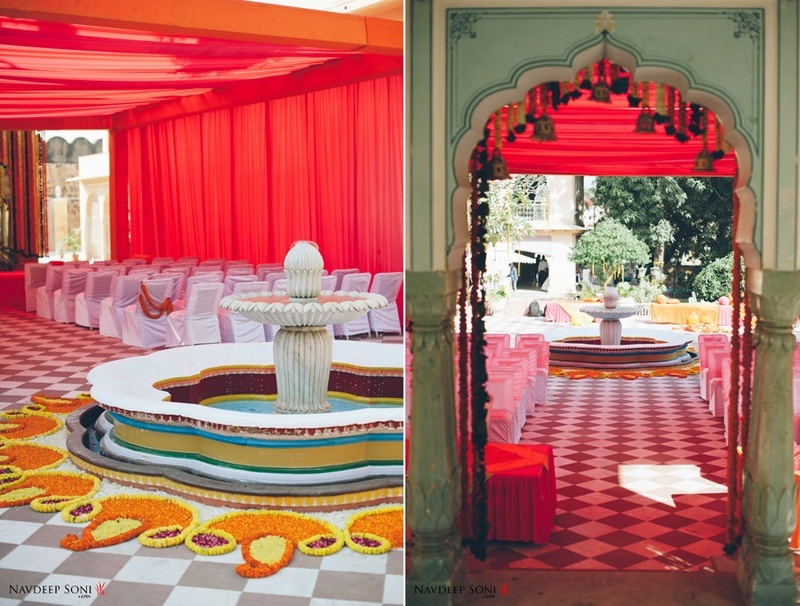 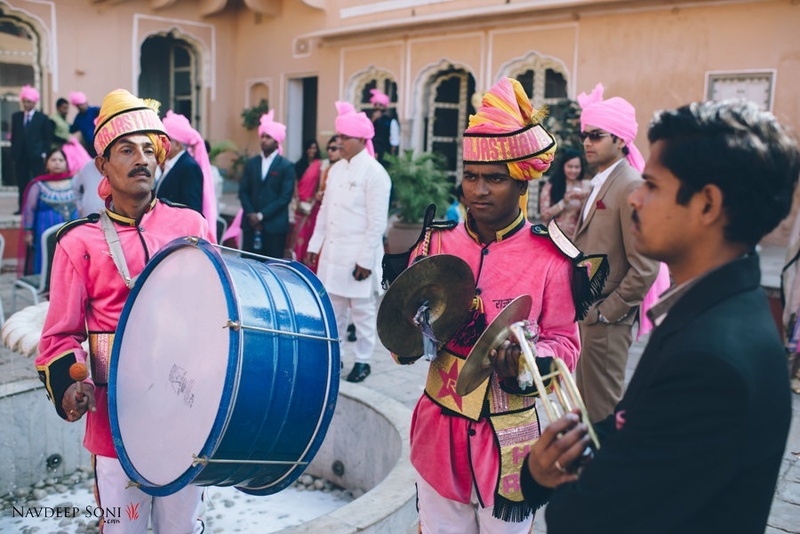 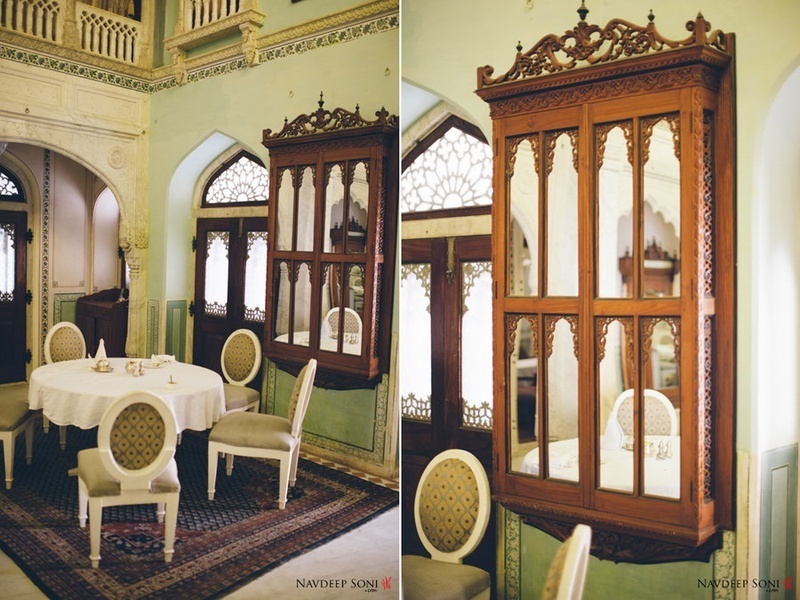 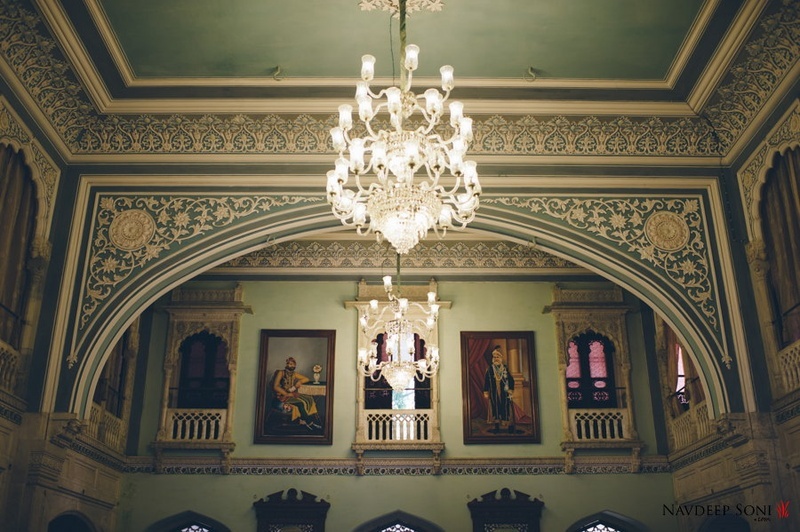 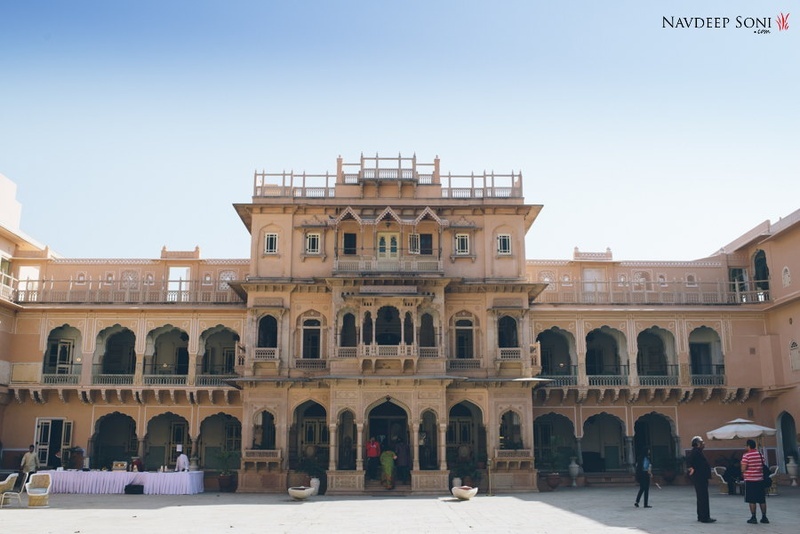 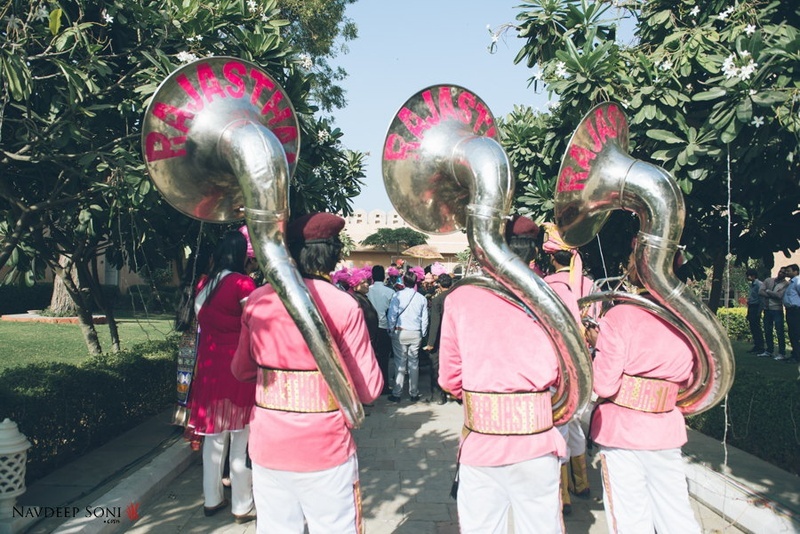 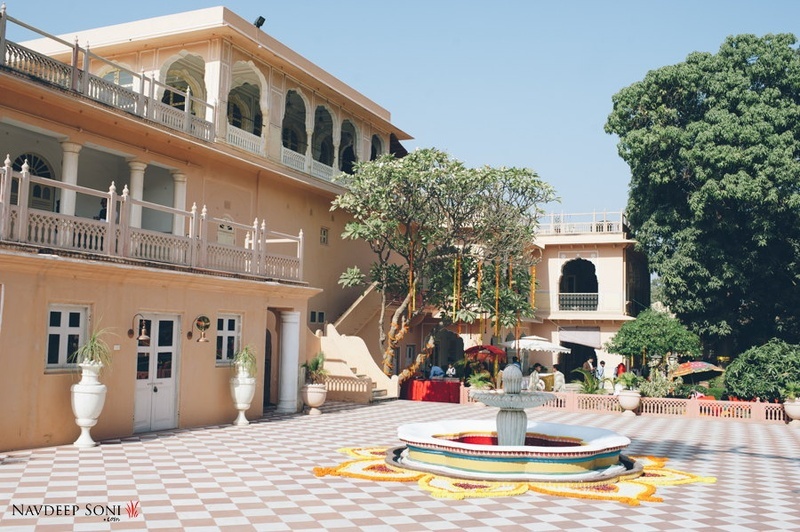 Held at the Chomu Palace, Udaipur, each ceremony had a distinct theme and set of colors to go with it. 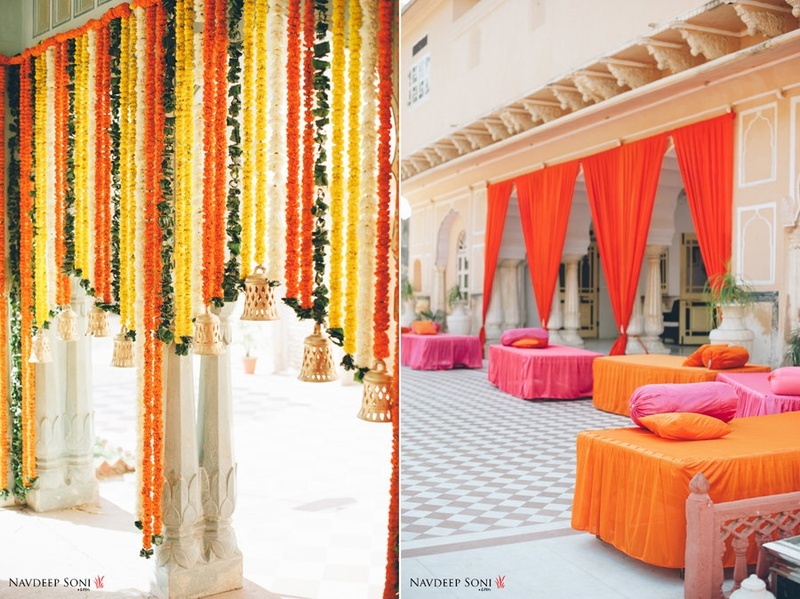 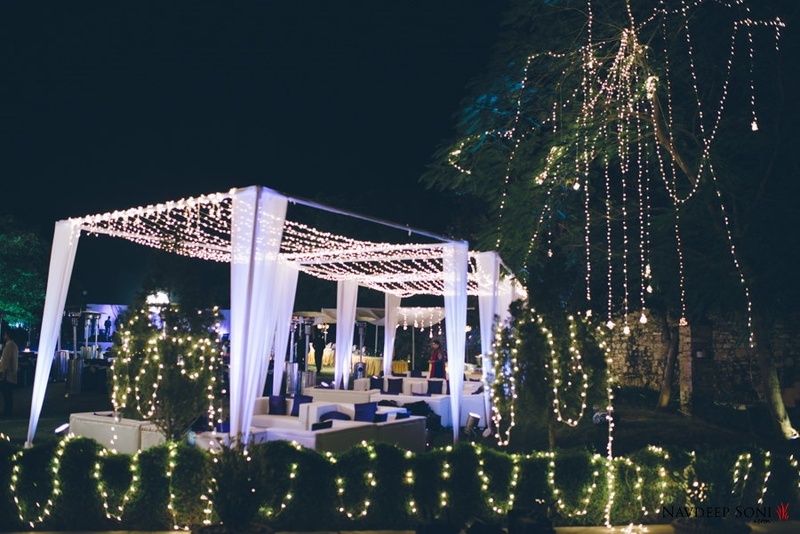 The décor stood out and so did each of the couple’s outfits right from the mehndi to the reception. 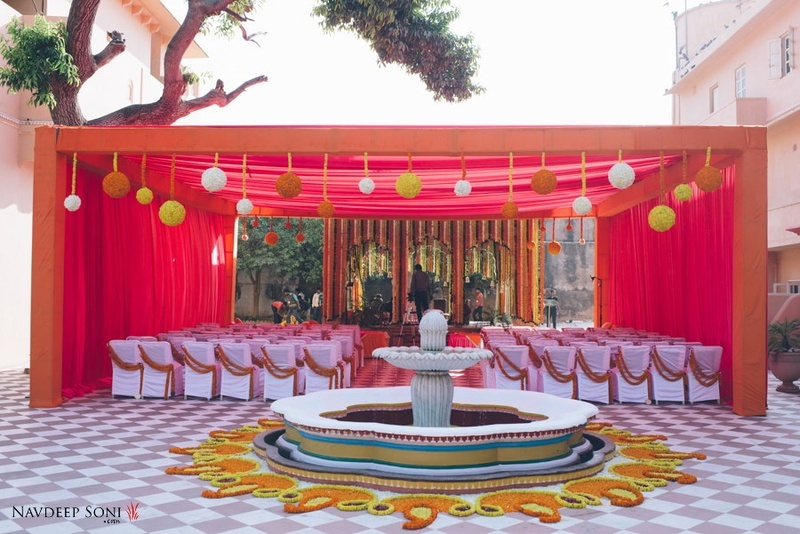 Orange and Pink Mehndi – The abundance of marigold was used tastefully in strings, rangolis, topiaries and even replaced chair tie-backs with strings of these orange hued beauties. 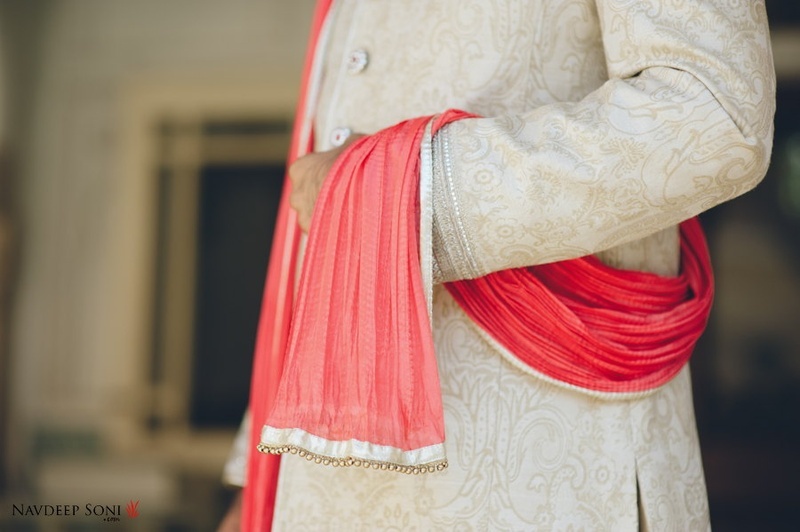 The gaddas and bolsters were matched to theme too while some were solid colors and others were wrapped up in leheriya to add a pretty mix-n-match feel to it. 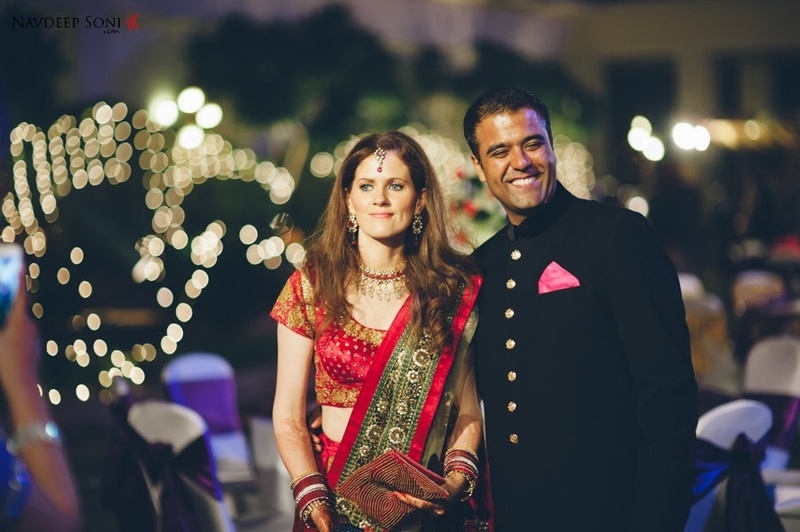 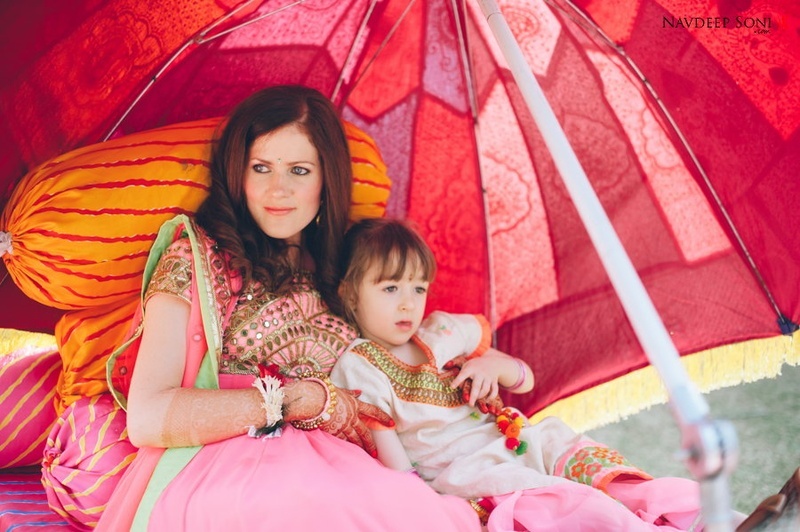 Laurie looked gorgeous in her mint and pink Arpita Mehta anarkali which had stunning mirrorwork on the bodice. 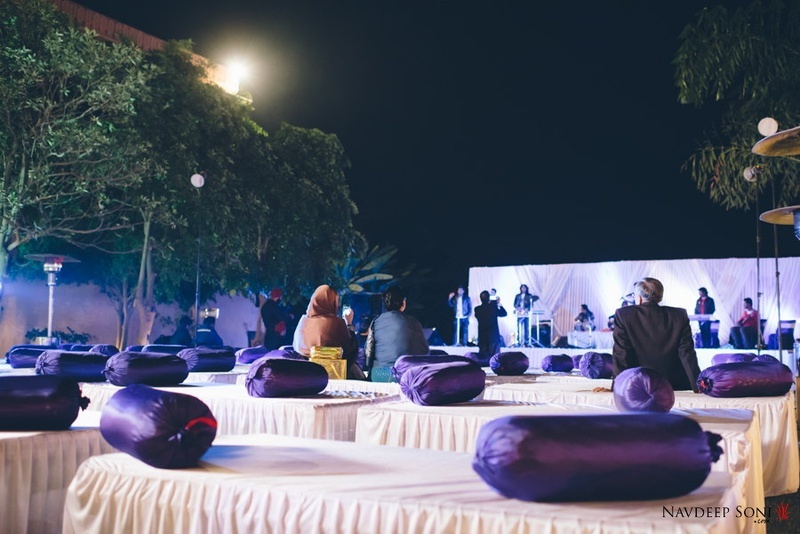 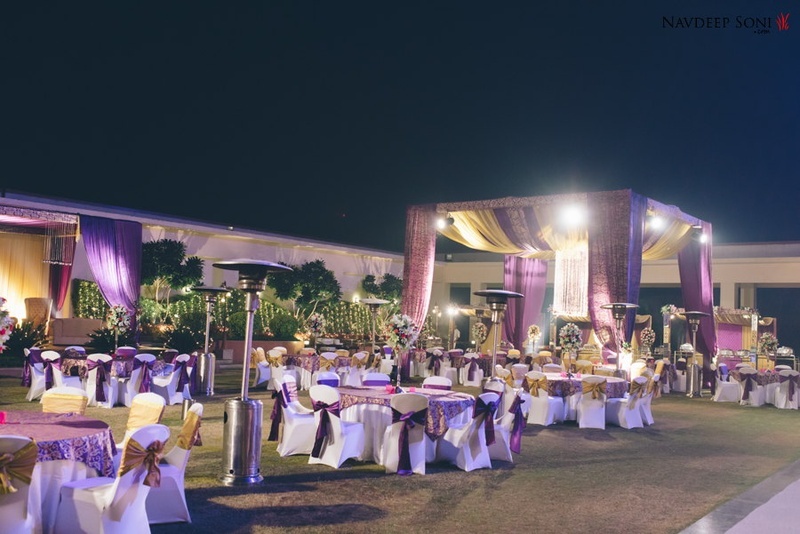 Purple, White and Gold Engagement – Damask patterned table covers, gold tissue tie-backs and a large mandap with gold and purple hued drapes – their engagement ceremony set up was a sight to behold! 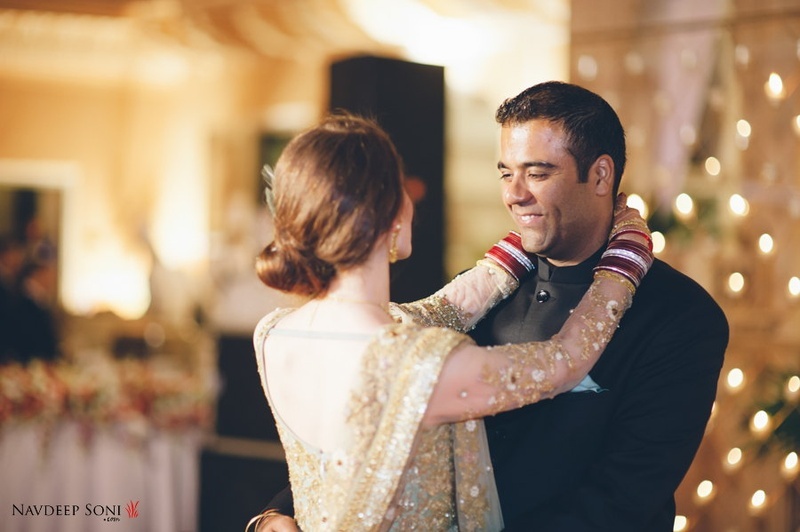 Pankaj looked dapper in a navy blue velvet achkan, while Laurie matched the set up in a purple and white outfit, creating a beautiful blend. 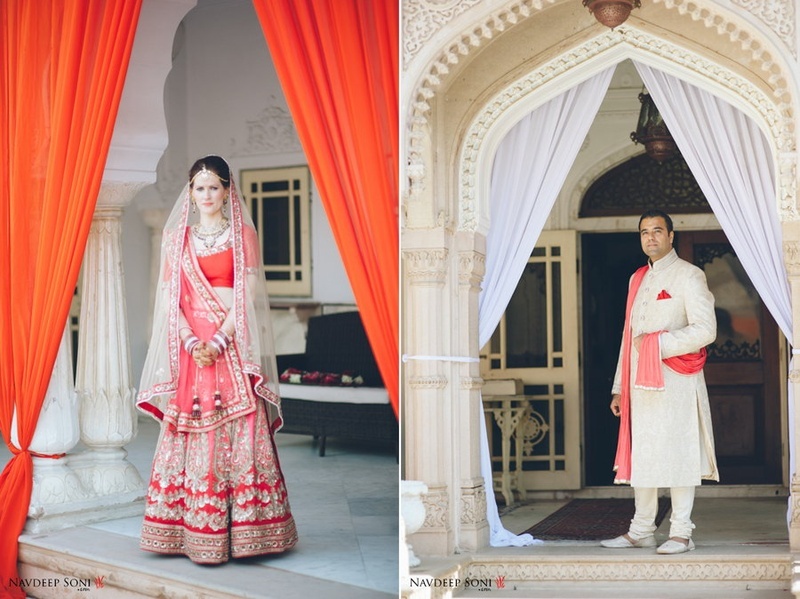 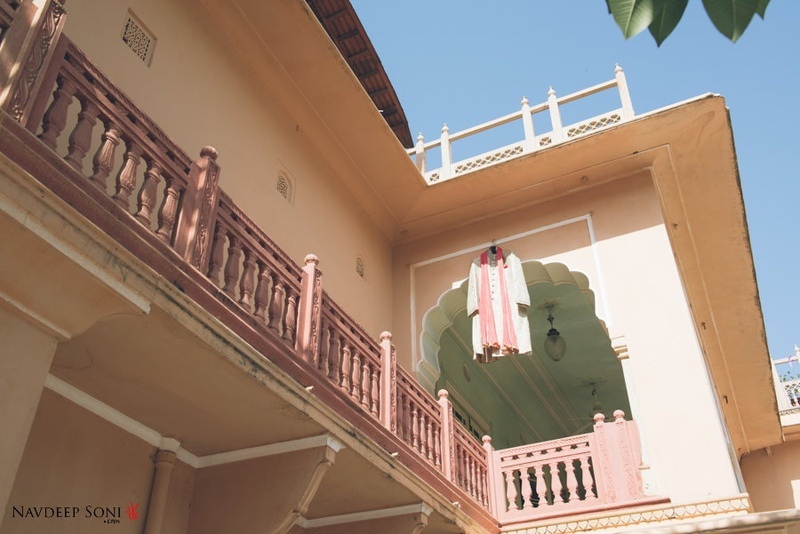 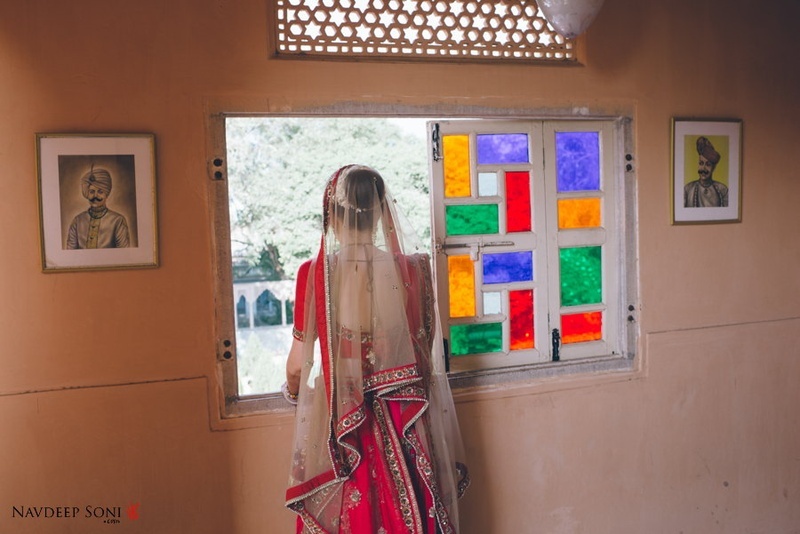 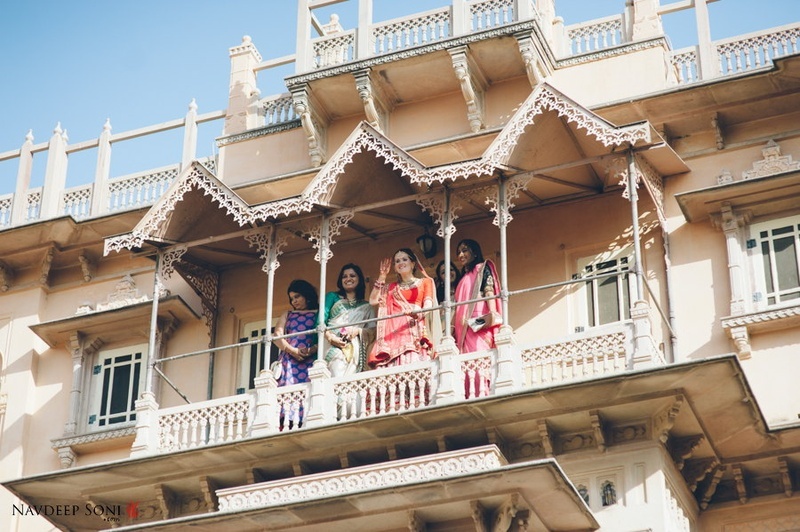 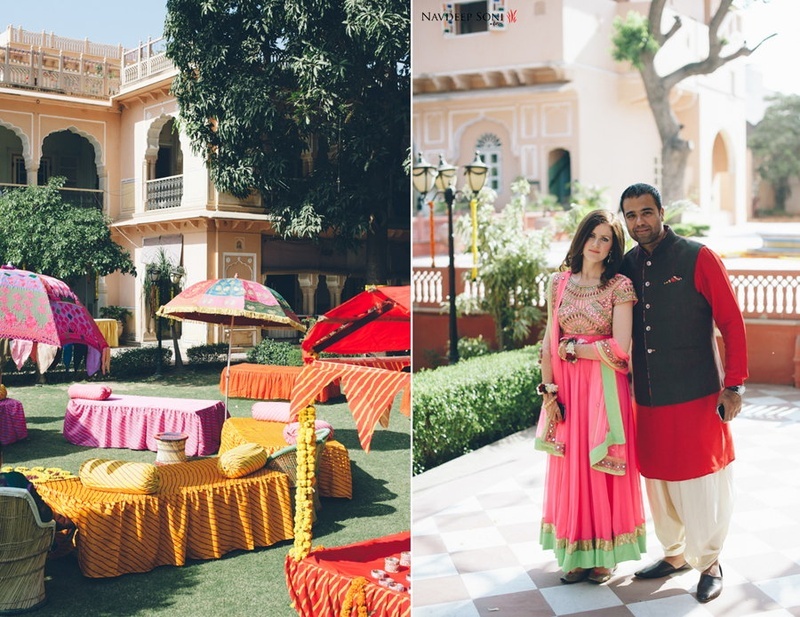 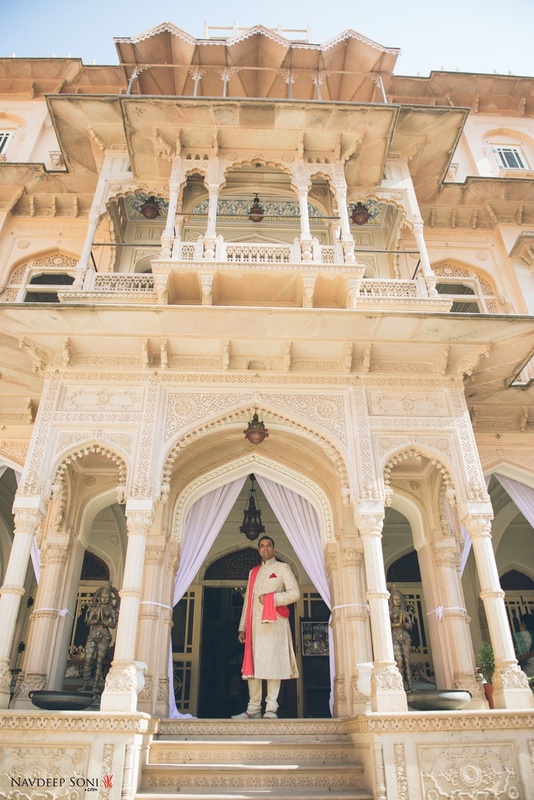 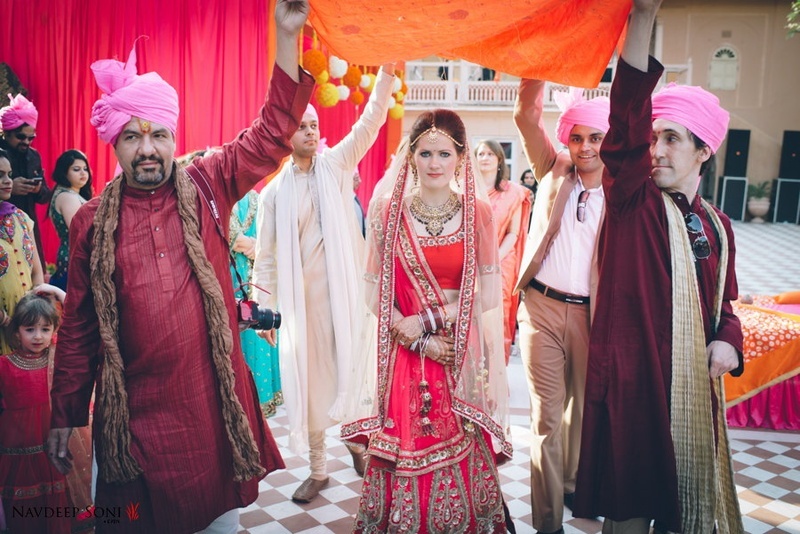 Off-white, Coral and Pink Wedding – Dressed in a gorgeous ombre pink and red Sabyasachi lehenga with a stunning single strand maathapatti and gorgeous heirloom jewellery, Laurie looked like a true royal Rajasthani princess. 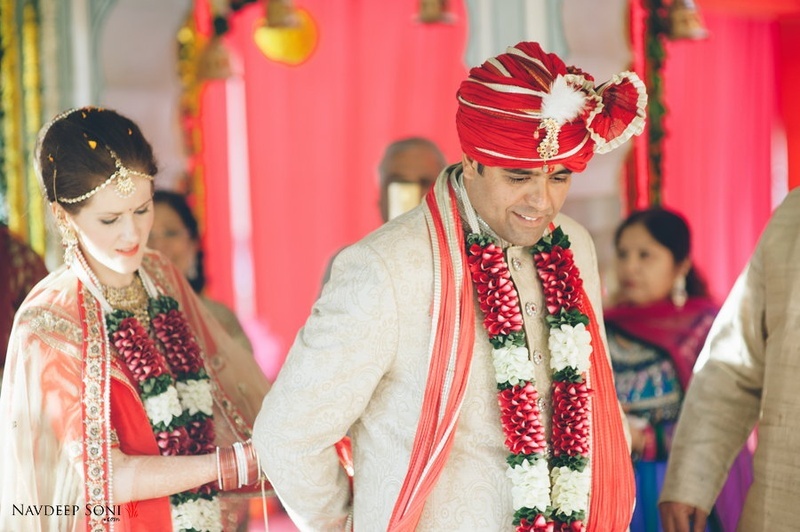 Her handsome, groom matched his bride perfectly in a textured off-white and gold sherwani with a coral dushala to match. 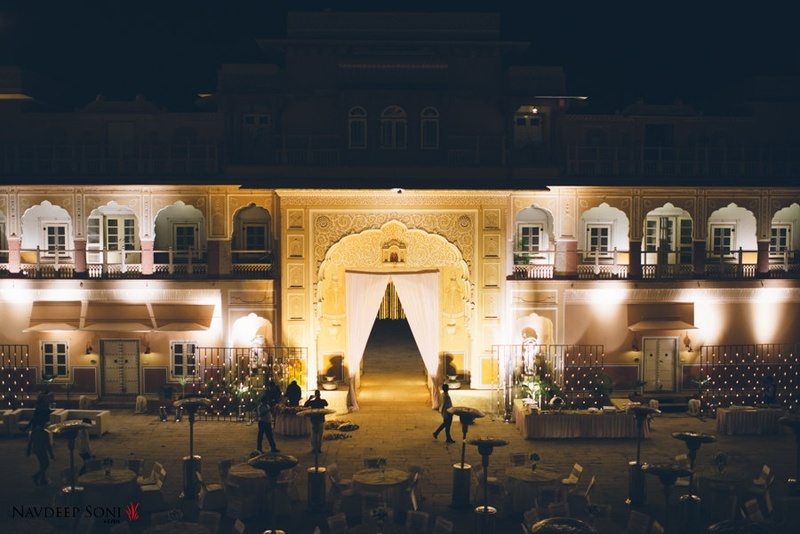 All Gold Reception – Stunning wedding made a grand ending the classiest color of ‘em all! 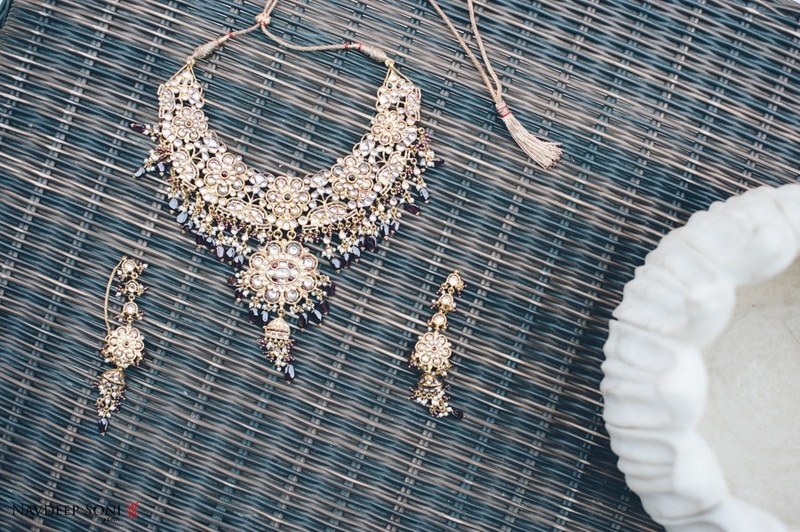 Shimmery gold. 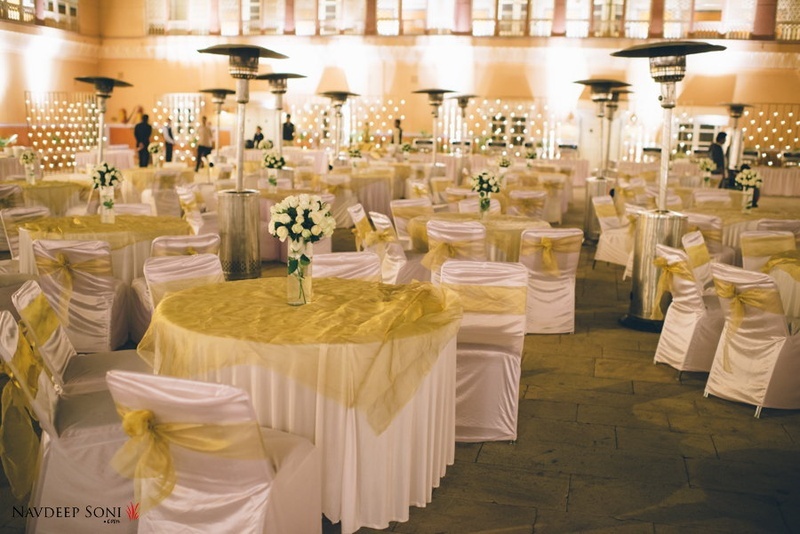 Table tops with gold tissue cloths and a white carnations on each table – absolutely chic and classy. 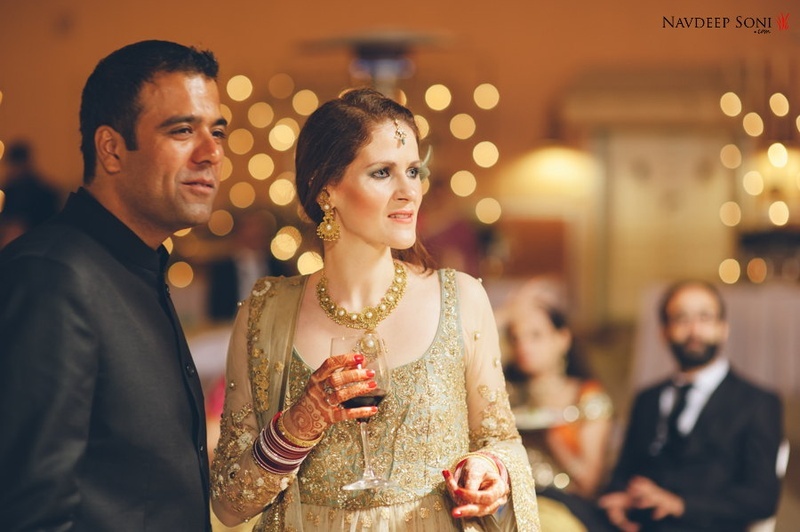 Laurie donned a tone of dull gold with a subtle pastel green, while Pankaj contrasted her in his black Jodhpuri suit in the most dapper way. 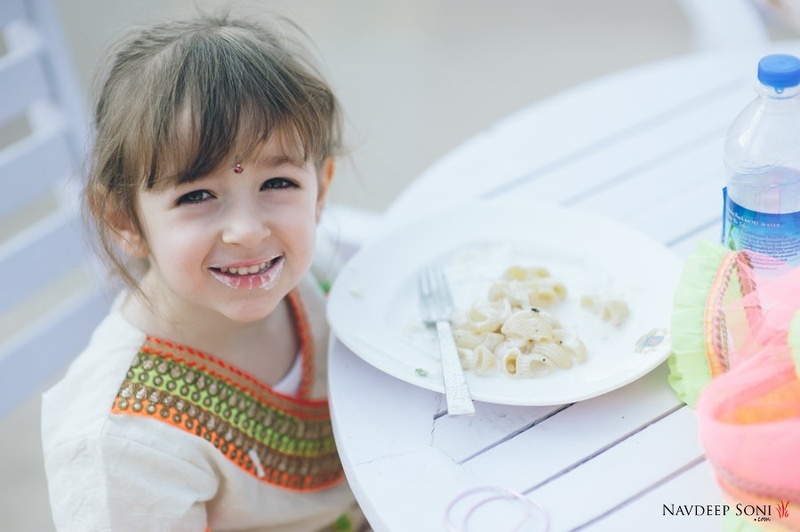 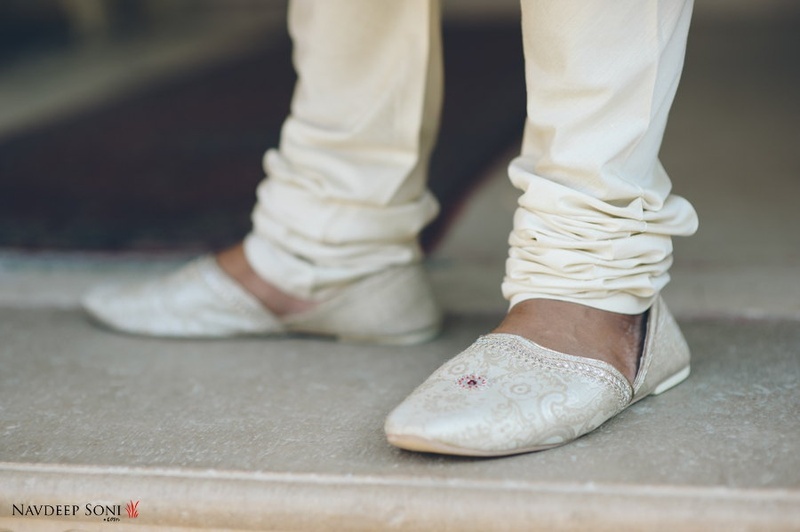 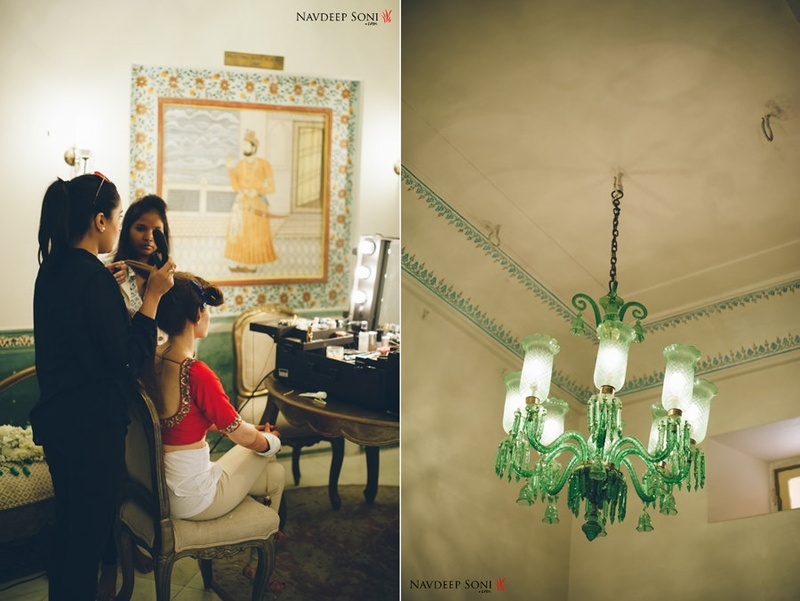 Photographed brilliantly by Navdeep Soni and his team, who shot this wedding with a great eye for detail – capturing the littlest detail to the largest for Laurie and Pankaj to cherish for a lifetime.